"I'll Pray For That! "...But Did I? We have all been there- a friend shares a problem and I so want to alleviate the pain and offer assistance. I tell her, "I'll pray for you." And I mean it. I intend to. I sincerely plan on praying. But life happens, and I get busy. Or my sieve of a brain doesn't retain the reminder to pray for longer than about 47 seconds. When my friend's picture pops us on social media, or her name is mentioned, or I see her, panic seizes me as I realize I NEVER prayed. As this sad scenario has repeated itself, I have made excuses and comforted myself with the assurance that everyone else did the same thing. Besides, I couldn't possible pray for every human's, every problem, every day, so certainly God understood. Right? Sure Susan. Tell yourself that. If it makes you feel better. 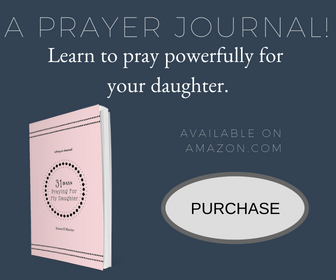 Out of all the parables in the New Testament, there are only a few about prayer, but they stick out because they take surprising twists. Their unexpected plot lines require me to THINK if I want to understand. God doesn't deal with nice platitudes. His stories deal with our flesh in all its blood-pumping reality. 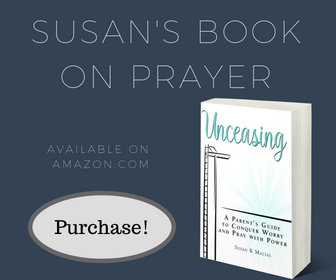 The story of the persistent widow, in Luke 18, teaches us endurance when we have need of prayer for ourselves. Check that one out here. Let's look at another parable the deals with how we pray for our friends. Friend A- we will call him Joe. Friend B- we will call him Bob. Friend C- we will call him George. Bob runs next door to George's house and pounds on the door begging for some food from George to give to Joe. George, woken by the persistent knocking, grumpily tells Bob to go away. But Bob persists. Knocks. Begs. Cajoles. Knocks again. Eventually George, "because of his [Bob's] persistence"(Lk. 11:8) gives in and gives Bob all he needs to take care of Joe. This parable, recorded in Luke 11 right after Jesus teaches His disciples the Lord's Prayer, makes me curious, as the widow's story with the judge does. In both parables the character who would represent God is not righteous, helpful, or even nice. At first this troubled me until I realized the parable isn't teaching me about my Heavenly Father. Instead, it illustrates how I should behave and how I should pray. This story destroys my excuses for not praying for my friends. The Heavenly Father holds a high standard for how I, as a Believer, should treat others. He always has. Someone hits me, I give them my other cheek. Someone asks for my shirt, I give them my coat. If someone gives me evil, I give them back only good. And the hardest, when someone sins against me, I forgive- whether they deserve it or even ask for it. I forgive because Jesus forgave me. Honestly the Lord is TOTALLY unrealistic. What is He thinking? How could He possible expect that type of love? Yet, it is this kind of love that would drive me to stand knocking long and hard until my friend has what she needs. How could He ever expect me to stand at the door begging? Doesn't He realize how embarrassing and inconvenient that would be? Time spent knocking at the door of a grumpy friend, begging for some food, might be embarrassing. But time spent at the door of Heaven, knocking and bring our friends to Jesus, in never embarrassing. Rather, time at the door blesses me and gives me time to talk with my Savior. Praying for our friends and family is a privilege. Praying for our brothers and sisters around the globe who are suffering for their faith is a responsibility. We can't fix everyone's problems, but we can persistently knock on the door of Heaven and call of the Father. We need to pray. We need to ask, seek, and knock. For each other. I'm game to keep trying. Are you?